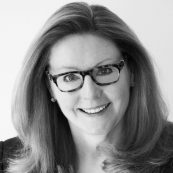 Alice Korngold, President & CEO, Korngold Consulting LLC, provides strategy advisory services and facilitates leadership strategy retreats for board members and executives from multinational companies and global, national, and regional nonprofits. Her areas of expertise are ESG and sustainability, board governance, strategy, diversity and inclusion, corporate-nonprofit partnerships, and measurement and ratings. Better World Leadership. Korngold published Better World Leadership (BWL), studies that provide evidence that nonprofit board service is an effective pathway for companies seeking grow value by advancing diversity and inclusion, innovation, and the U.N. Sustainable Development Goals (SDGs). BWL studies in 2017 and 2018 are sponsored by American Express, Comcast, Dow Chemical, HP, Johnson Controls, PIMCO, PwC, Symantec, and Target. In partnership with IMPACT2030, Korngold continues to advance nonprofit board service with companies worldwide, including presenting findings of studies at the U.N. in the Fall 2018. Advisor. Korngold has trained and placed several hundred business executives and professionals on NGO/nonprofit boards. She advises companies seeking to establish highly effective board training and placement programs. Korngold also consults to nonprofit boards to help them achieve transformational change for strategic and financial success. Visiting Professor. Korngold teaches a course on “Sustainability and Corporate Governance” for the Master of Financial Accountability, York University in Toronto, Canada. She also guest lectures at Harvard and other universities worldwide. Author. Korngold authored A Better World, Inc.: How Companies Profit by Solving Global Problems…Where Governments Cannot (Palgrave Macmillan, 2014) and Leveraging Good Will: Strengthening Nonprofits by Engaging Businesses (Jossey-Bass, a Wiley Imprint, 2005). She authored the chapter on Sustainability, Climate, and Corporate Governance in the new Handbook on Board Governance: A Comprehensive Guide for Public, Private, and Not for Profit Board Members (Wiley, May 31, 2016) and will also author a chapter in the new 2019 edition. Speaker. Korngold is a keynote speaker at conferences worldwide. Most recently she addressed the WBCSD Members Meeting on “Megatrends in Sustainability and Business.” She moderated a panel of global sustainability thought leaders in conjunction with Dow’s launch of their 2025 Sustainability Goals. She interviewed Muhammad Yunus at the UN 69th General Assembly USAID/DFID MDG Countdown. Education. Korngold received a B.A. in history and an M.S.Ed. in psychological services from the University of Pennsylvania. Should You Serve on a Nonprofit Board?